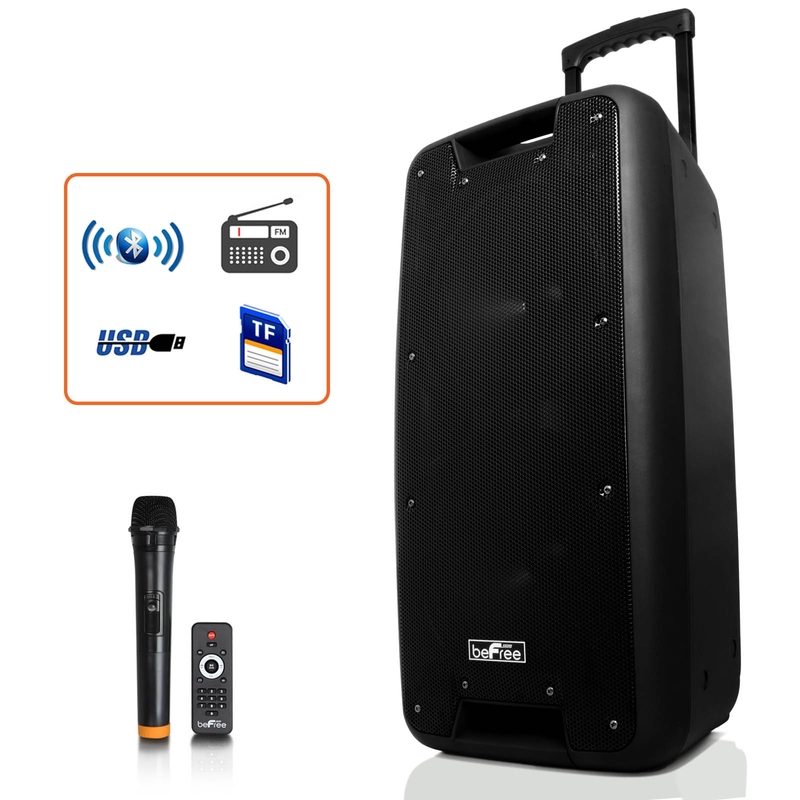 The new beFree Sound 10" Bluetooth Portable Rechargeable Party Speaker with USB/SD, Microphone/Guitar Inputs & FM Radio, Remote Control And 1 Wireless Microphone is an all in one entertainment assistant for the most advanced entertainers around! 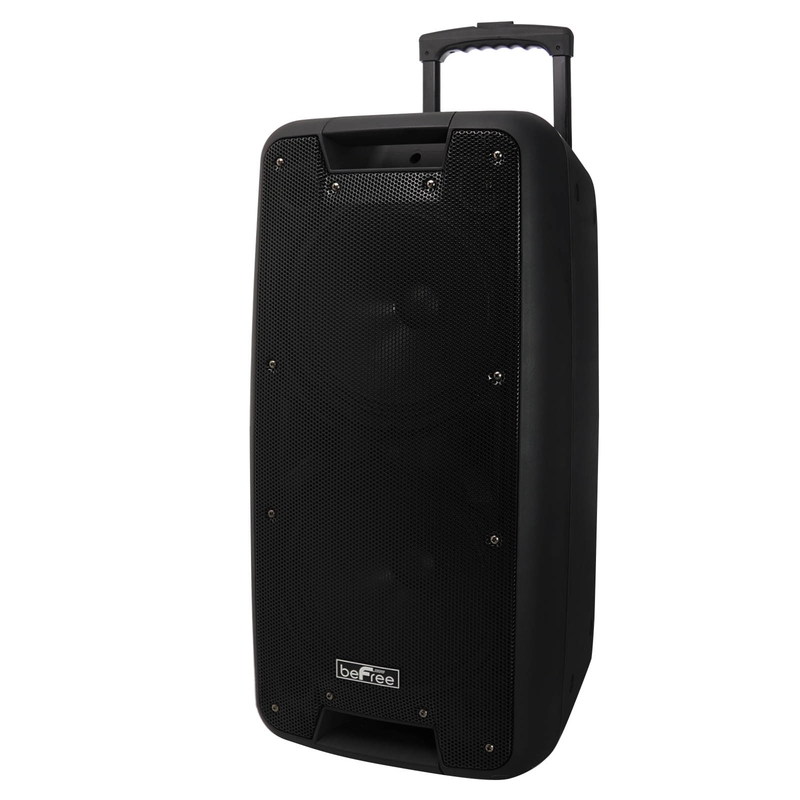 This easily portable speaker includes hard mounted top handle for your convenience, as well as embedded side handles, and boasts a large frame to ensure its highly visible, yet with its matt subtle body, its understated and elegant. 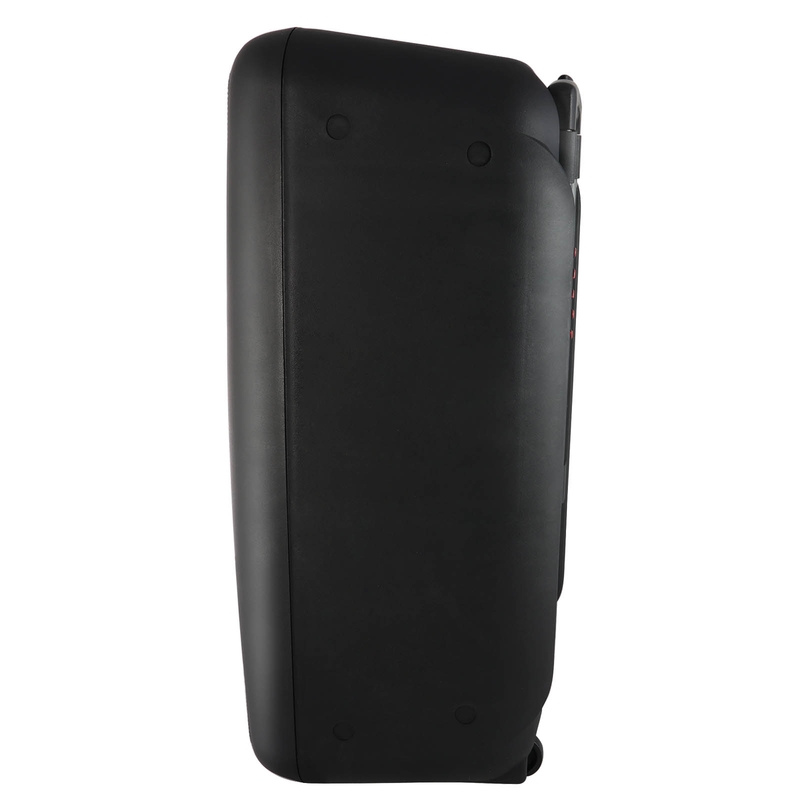 This unit is an ideal companion for your hardest workouts! With a hard hitting base line, and thunderous crystal clear sound, it will motivate you along with your favorite work out tracks to push past the ordinary. You can connect a variety of devices, and choose the input that is best to suit your needs. 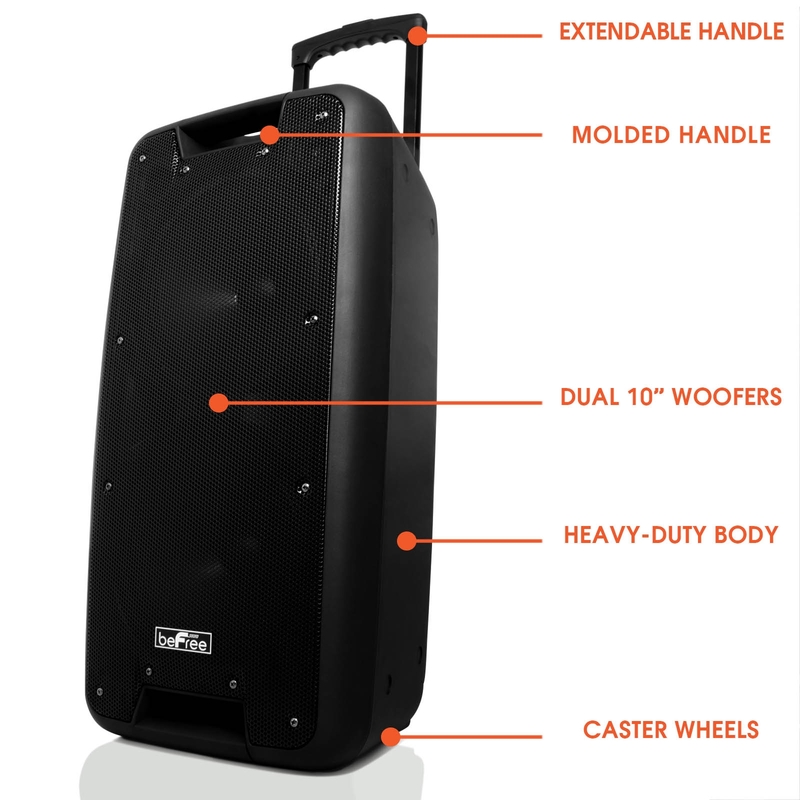 You always have the option of turning down the reactive light show for those more subtle gatherings and allowing yourself to enjoy the strong, clear sound provided by the Dual 10 Inch Sub-woofers. 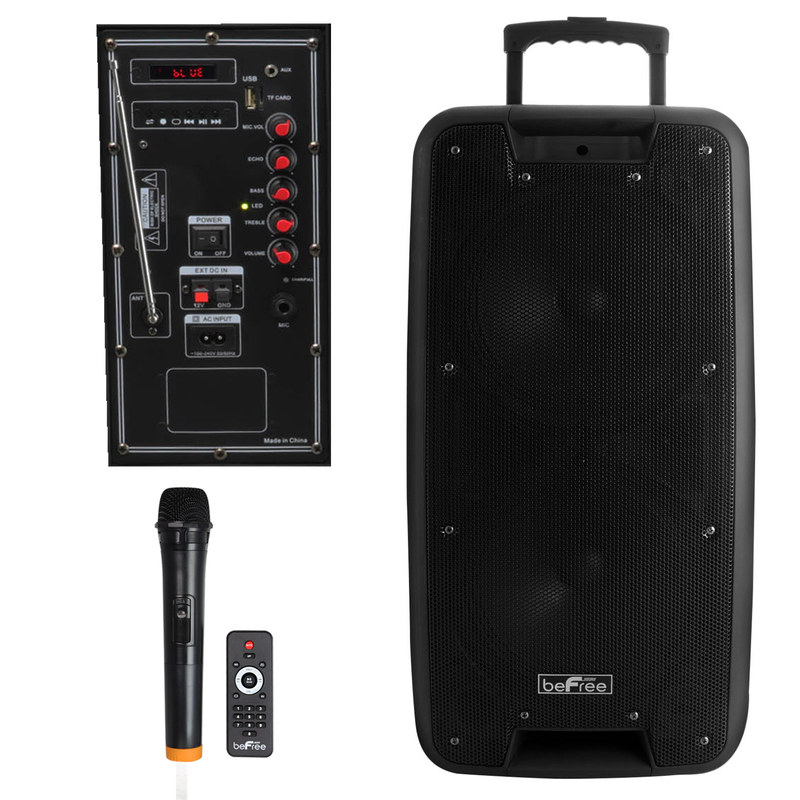 This system acts incredibly well as a portable loud speakers, with 1 Included Wireless Microphone, you’ll really be able to make your voice heard! EASILY PORTABLE: Hard mounted top handle, Embedded Side Handles, Retractable Handle along with Dual Rolling Wheels make this unit easy to transport and handle. Designed with your convenience in mind so that you’ll never have to leave this speaker behind! 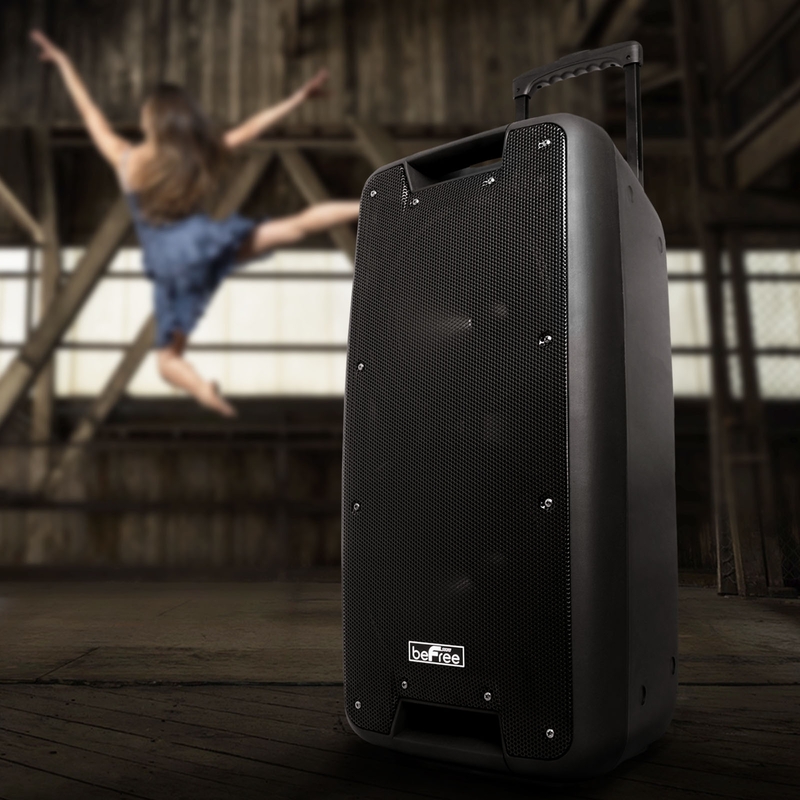 STRONG CLEAR BRILLIANT SOUND: This speaker won’t impress you with it’s size alone. 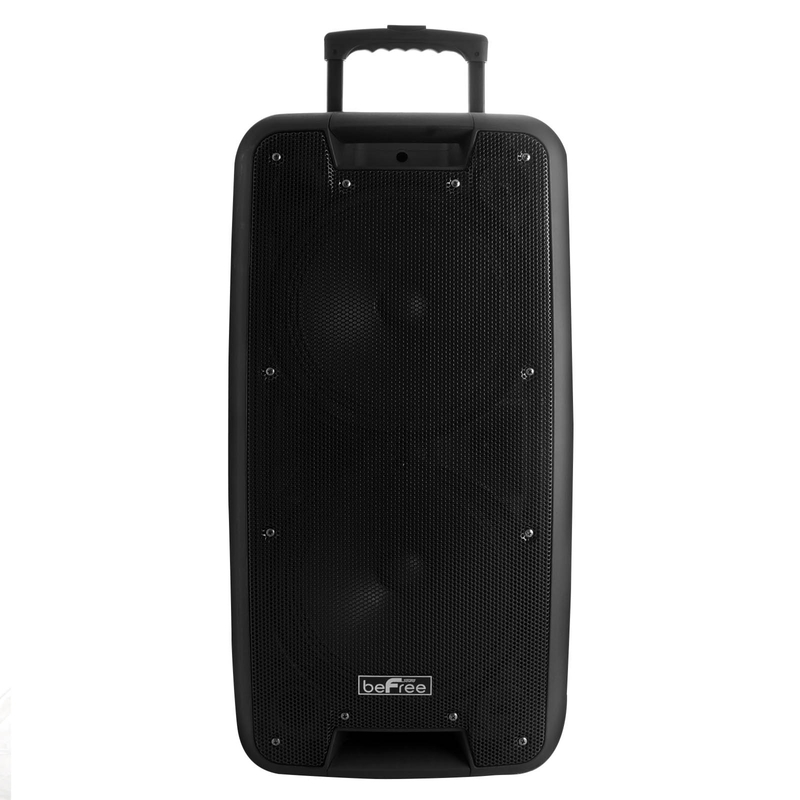 The 10 inch Double Subwoofers boom with thunderous power to ensure that your guests will be moved by the music even if they lean against the walls! 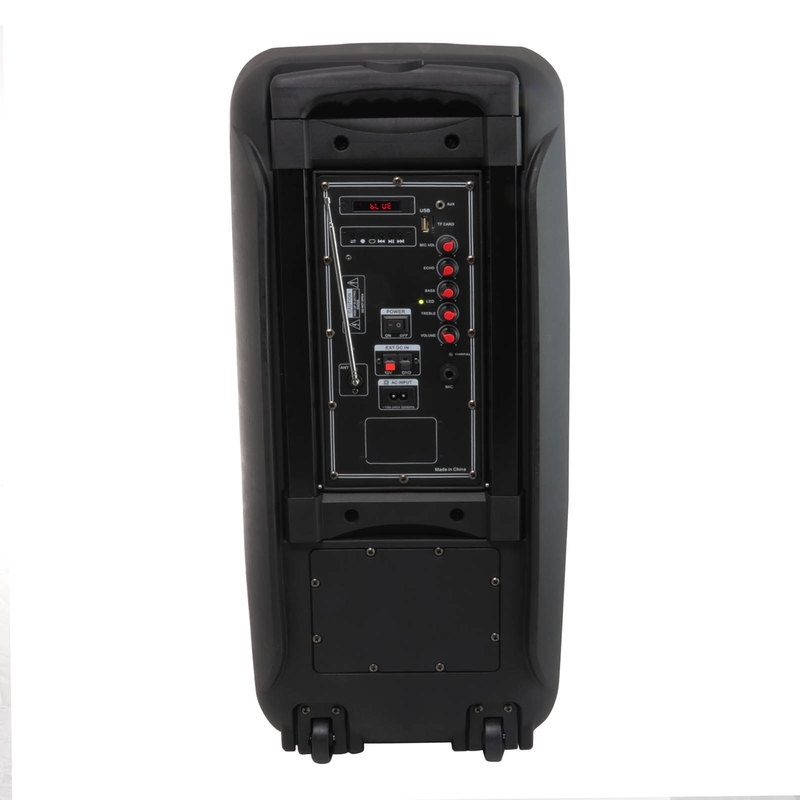 Adjustable Treble, Bass, Echo and Volume levels allow you to set the music just right.